Andrea Angelini (AA): Expressing his/her own inner world is important for a musician. He/she must learn to channel this inwardness through musical writing, performing a song, or with a personal interpretation. What do you think of inspiration and how do you live your relationship with the ‘Muse’? Basically, is there something that inspires you, in a particular way? Ko Matsushita (KM): Obviously, I think that writing music is not only done based on inspiration, and music is ‘composed’ based on composition methodologies. However, behind, or in other words, surrounding that ‘composition’, the life of the composer is reflected three-dimensionally. This would be the source of the inspiration. It could also be said that the composition technique lies in the life of the composer. The same could be said not only for composers, but also for authors, teachers, company presidents, and so on. The music of a composer, the novel of an author, the words of the teacher to a pupil, all who went through trials and tribulations, encompass ‘reality’. This ‘reality’, alone has the power to move many people’s feelings. While performing as a conductor, I feel that much inspiration and many suggestions are given by the ‘Muses’. On the other hand, I thank God each time that agony and sorrow are placed upon my life, as these become the driving force of the next composition. As mentioned in the beginning, it is possible that composition comes from a smooth and sailing life, full of happiness. As long as the composer has an appropriate level of technique, it is possible to write music. However, what really defines the value of a piece is the depth of humanity that surrounds that technique. However, if I may add a comment about this, there is no such person with a ‘life full of happiness’. We are living on ground that has absorbed the blood of the people that have died tragically through endless bloodshed and conflict. How we composers seek to live – this may be to live a more oppressive life than anyone else. If not, we cannot understand the feelings of one who is in difficulty. With absolute preparation to bear all sorrow, we place the first note on a blank music sheet. AA: The art of sound, the expressiveness of the voice, the intensity of the message you want to communicate… what relationship do they have with the lyrics? KM: I think that when you compose a piece that has a text, i.e. vocal or choral, the content must perfectly harmonise with oneself. The role of the composer is to amplify and to ease communication of the meaning of the words in the text, the feeling within the words that the poet wants to convey, just like an amplifier or speaker of an audio system. Therefore, I try to communicate this meaning through a multitude of rhetoric. Here what needs care is that a poem is the ‘personal’ feelings of a poet, stated by the words of the poet himself. When composing this in a choral piece, the poet may feel some confusion because of the fact that there are multiple performers. Normally, there are many ways of experiencing a poem, and it is enjoyed individually, so the story ends there. To make this into a choral piece is to change this story into a performance by multiple people, to convert it into multiple feelings, and to deliver it to multiple audiences, so there is a risk of making the mistake of misinterpreting the text. I always keep in mind to remain in line with the heart of the poet as much as possible. When you take a text from the Bible, though the wording may lead to confusion, it is a little bit easier, as composition work having been absolved by God and filled with the Holy Spirit psychologically puts me in a reassured state. Having said this, in most cases when I select a text by a poet, I choose the text by myself. I choose poems with faith and high spirit, so in many cases I get satisfactory results. AA: When did you begin to realise that your life would be about music? Was there any particular event that made you feel the need to compose? What about your studies, and what was so crucial for your education? KM: During my youth I received an intense education in piano and acoustics, but it was when I became a high-school student that I really started to love music. By entering the choral world that I had not known before then, I fell in love with music at once. The musical education that I had received until then was at a high level but placed emphasis on technique, and I did not often feel joy at that. It was like I was doing it because it was my duty. By joining the choir in high school, I experienced the true excellence of music. You have companions in music. What could not be done individually could be accomplished with colleagues. I learnt this fact in high school. It was also the first time I realised that music is a mental activity. Another charm of choral music is the ability to perform a number of compositions by a composer who is living in the same era as you. When I was learning piano, it was like I only knew Bach, Mozart, and Beethoven. My high school was a normal municipal school, not a specialist musical school, but meeting one music teacher here determined my musical life. Without his iron grip to pull me into the choir, I would not be as I am now. I am still thankful to this teacher from the bottom of my heart. AA: What are your main achievements? KM: I have accomplished a number of achievements under God’s guiding hand. To have my music performed across borders by many people, to have my choirs win multiple competitions, the list goes on, but nowadays I am filled with a joy that I have never experienced before. Last year in 2015, I was able to start a small children’s choir in the town where I live. This is my biggest accomplishment recently. Currently there are around 30 members from age 4 to 15. No one has previous experience of a choir, and it is still even difficult to make a harmony, but I am feel very affectionate to see their hard work, and feel rewarded to hear the certain, steady improvement of their singing capabilities. I am currently applying as much of my time and effort as possible to this completely voluntary activity. One day, my dream is to present their performance to all of you that are reading ICB. I would fondly like to ask for your cheers and prayers. AA: Which activity do you dedicate more time to, between conducting and composition? Why? KM: I dedicate exactly the same time to both conducting and composition. I dedicate much of my time on weekday evenings and weekends to conducting, and the rest of my time to composing. I guess that I’m living quite a lucky life, because when I feel it is tough to be alone, I can work with my choir, and when relationships become bothersome, I can be preoccupied by composition!! AA: Are there some works, among your own, which most represent you and your personality? KM: This is a very good question. I have five themes (categories) when composing. The first is traditional music using the sound structure of Japan. The second, Catholic religious music. The third are etudes aimed to improve the skills of choirs and leaders. Fourth are arrangements of pop music and Japanese school songs, as I aspire to make a piece that anyone can enjoy. And the fifth category is original choral music that does not fit into any of the other categories, so this may be A cappella, with piano accompaniment, or with orchestral accompaniment. Songs that fit into any of the categories above are my sound, and represent my personality and me. Even in arrangements, I try to express my world within it. My works in Latin are nowadays performed frequently around the world. This is a very happy thing. Along with this, many of my Japanese works are published in Japan, so I would like to invite you to read these scores and listen to the performances. AA: What kinds of projects have you already taken part in? KM: As a composer, some memorable projects are the World Sun Songs Festival at Riga (Latvia), held in 2008, and my personal exhibition at Shenzhen (China), held in 2011. The World Sun Songs Festival was a huge, national-scale project, to hold world premiere performances of 17 composers at once. I presented Jubilate Deo, wonderfully performed by Choir KAMER (Latvia) and the premiere of my piece concluded in great success. Since then, they have kindly performed this piece in multiple events such as the World Symposium on Choral Music, and many choirs have now added this piece to their own repertoires. In Shenzhen, I was able to perform many of my works, including my orchestral work with the Shenzhen Symphony Orchestra. Both projects are unforgettable to me. I am writing this article on 23 May 2016, but just the day before yesterday, I conducted the concert of Taipei Male Choir, hosted by the Taiwan National Theater and Concert Hall at Taipei (Taiwan). The concert hall, with a capacity of 2,000, was completely filled with audience members and, with great enthusiasm, we were able to hold the concert with an all-Japanese composer program. I felt utmost joy. This concert would also be a great footprint in my life. AA: What is the relationship with the performers of the music you compose? These are the four patterns of performance of my music, but the lower it gets, the more intriguing and interesting it becomes. In terms of expressing the composer’s feelings, it may be that the first pattern is the best, but the last pattern is when ‘the expression transcends the feeling of the composer’. Thus, I like to listen to performance by many choirs led by many composers. Music interferes in the process of understanding people-to-people, so the relationship between the composer and the performer should be good. This is the reason why I think that my piece will become a happy one only after it has been performed, not only by my choirs, but also by many other choirs. AA: For whom in particular, are you writing your compositions? AA: What are your future projects? KM: With my trustworthy colleagues, I am hosting the Karuizawa International Choral Festival. Wonderful choral friends gather from around the world. You can also exchange with high-level Japanese choirs. I would humbly recommend you to come to this festival, held every August. Karuizawa is a place that represents Japan, a beautiful and comfortable place. Please refer to the festival website for details. Furthermore, we hold the annual International Choral Composition Competition in Japan. The winning piece is guaranteed to be premiered and published. This is a new competition that started in 2015 so this is only the second year but, in both years, a large number of submissions have been handed in from around the world. We look forward to your submission. Please refer to the competition website for details. Last but not least, I am working as a member of the artistic committee for the 11th World Symposium on Choral Music. To make the WSCM a wonderful symposium, I am enjoying the meaningful work with the great members of the committee. An excellent list of lecturers and choirs has been selected for the event in Barcelona. Hope to see you there next July! 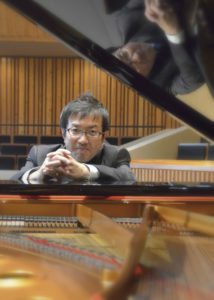 Ko Matsushita, Conductor and Composer, born and raised in Tokyo; graduated top of his class from the Kunitachi College of Music, Department of Composition; finished his Choral Conductor master course at Kodály Institute in Kecskemét, Hungary; studied under Yuzuru Shimaoka, Koichi Uzaki, Thomas Meyer-Fiebig, Mohay Miklo’s for composing, the late Reményi János, Erdei Péter for choral conducting, Masamitsu Takahashi for orchestral conducting, and Somoriai Paula for singing. Mr Ko Matsushita is taking multifaceted approaches to choral music by conducting, composing, and teaching. He composes and arranges choral pieces, which are performed not only in Japan but all around the world. He also acts as resident conductor and artistic director of ten choirs, which perform both in Japan and abroad, achieving excellent reports in the competitions they participate in. Recently, one of his choirs, Vox Gaudiosa Chamber Choir, won the Grand Prix at the international competition ‘Concorso Polifonico Internazionale Guido d’Arezzo 2011’ in Italy. He receives many invitations from around the world to act as a guest conductor, judge competitions, and teach in choral lectures and workshops. In 2010, he became guest conductor of Beijing University Student Choir. Furthermore, he has won best conductor’s awards and prizes for superior composition in various international competitions. In 2005, Mr Matsushita became the first Asian to receive the “Robert Edler Prize for Choral Music”. This award is bestowed on the best conductor, composer, or choir for their extraordinary endeavors throughout that year around the globe. He has dedicated his works to American, Hungarian, Spanish, Norwegian, Latvian, Polish, Dutch, Taiwanese, Singaporean, Chinese, and Japanese choirs and ensembles. 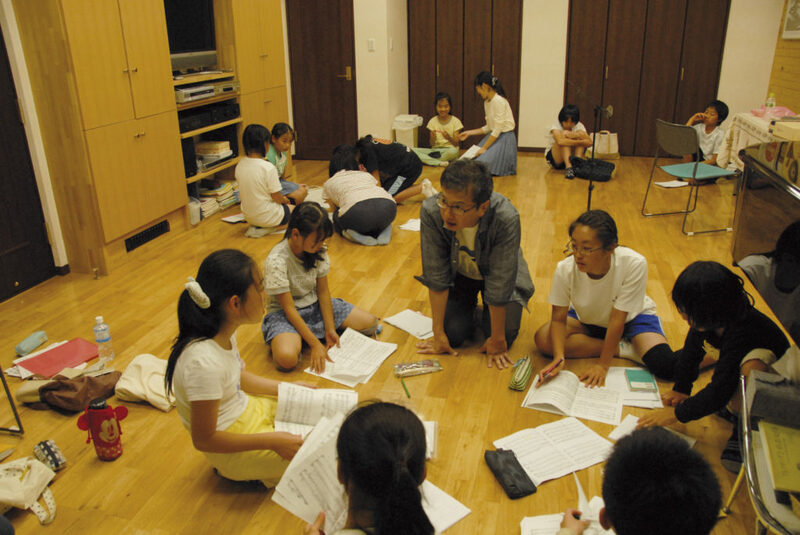 Mr Matsushita’s works are performed by a large number of choirs from all over the world. He is a jury member of the Japan Choral Association, NHK (Japan Broadcasting Association) School Choir competition, JCA (Japan Choral Association) National Choir Competition, Singapore Youth Festival 2007, Hong Kong Youth Choir Competition 2008, Seghizzi International Choral Competition in Italy 2008, Tolosa International Choral Competition in Spain 2009 and 2010, and Florilège Vocale de Tours in France 2011. He is the author of a Junior High School music textbook published by Kyoiku Publishing. 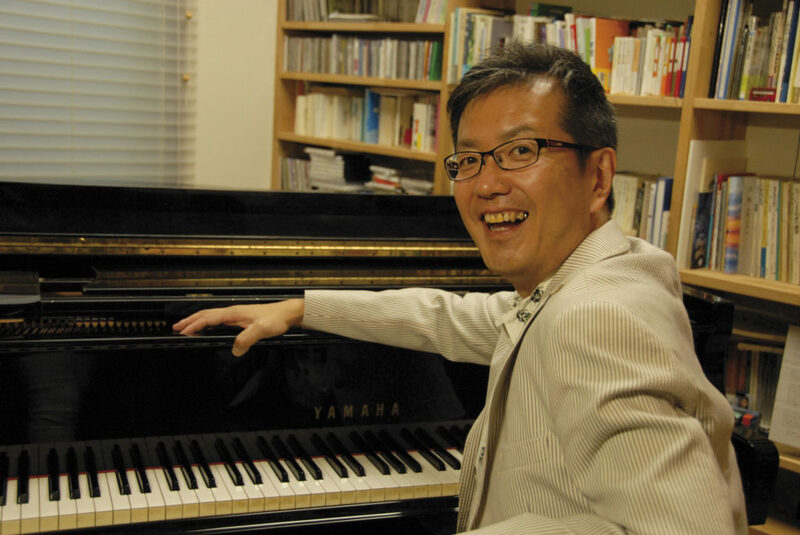 Additionally, he is a vice-president of the Tokyo Choral Association and a member of the Japan Choral Directors Association, The Japanese Society for the Rights of Authors, Composers and Publishers, Japan Composers and Arrangers Association, The Japan Kodaly Society and the International Kodaly Society. Also, he is a representative of the Workshop for Choral Expression. His works are mainly published by Edition KAWAI (Japan), Ongaku-no-tomo Edition (Japan), Carus-Verlag, Stuttgart (Germany), Sulasol (Finland) and Annie Bank Edition (Holland).